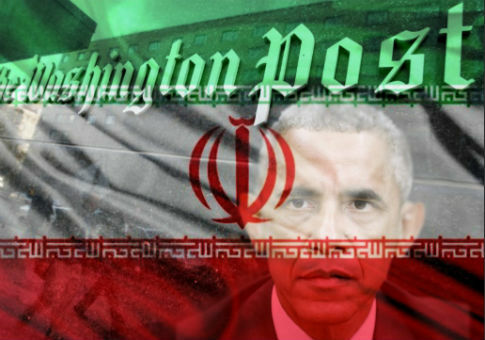 A Washington Post contributor who claimed that a $400 million cash payment to Iran was "American diplomacy at its finest" failed to disclose that he has worked on projects that received funding from a chief architect of the White House’s self-described campaign to build a pro-Iran "echo chamber," according to information obtained by the Washington Free Beacon. Allen S. Weiner, a Stanford law professor and contributor to the Post’s opinions section, co-authored a piece arguing in favor of the Obama administration’s decision to pay Iran $400 million in hard currency in what many described as a "ransom payment" for the release of several U.S. hostages. But the piece did not mention that the Ploughshares Fund, an organization recently exposed as having provided millions of dollars to writers and experts who pushed for last summer’s nuclear deal with Iran, helped fund a 2007 paper Weiner authored about United Nations regulations governing weapons proliferation. "We are grateful for funding provided by the Norwegian Foreign Ministry, the Los Alamos National Laboratory, and the Ploughshares Fund," Weiner and his coauthors write in the paper. Later, in 2015, Ploughshares gave $100,000 to Stanford’s Center for International Security and Cooperation where Weiner acts as a senior lecturer, funding documents show. Weiner told the Free Beacon on Tuesday that he did not write the piece at Ploughshares’ request and did not coordinate or speak with anyone at the organization about the piece. "I have never spoken to anyone at Ploughshares about the Iran nuclear deal; indeed, until receiving your e-mail I had no idea what position, if any, Ploughshares had on the Iran nuclear deal," Weiner said. He went on to admit that he had "contact with Ploughshares" when the group contributed around $15,000 to the 2007 paper. "I did not receive those funds personally; the funds were contributed to Stanford University for a research project on which I was the principal investigator," Weiner explained, adding that he has also received funding in the past from the Foundation for the Defense of Democracies, a group critical of the nuclear deal. The Post’s failure to disclose Weiner’s association has raised questions about its commitment to journalistic ethics and is reminiscent of a recent scandal concerning National Public Radio, which was forced to run a series of corrections due to its own failure to disclose monetary ties to Ploughshares. "This is becoming a pattern with the Washington Post," said one senior foreign policy observer who works with a range of newspapers on Iran coverage. "In the last few weeks their journalists have quoted people who get Ploughshares money and their op-ed page has run opinions by people who get Ploughshares money—and none of it was disclosed. "That’s despite the White House openly bragging that Ploughshares is one of the main surrogates in their echo chamber, and other media outlets recognizing how dirty it is to quote Ploughshares cutouts without informing readers of financial ties," added the source, who would only speak on background when discussing the issue. NPR found itself in a similar situation when the Free Beacon disclosed that it had cancelled an interview with a leading Iran deal critic while featuring pro-Iran advocates. NPR also took money from Ploughshares and conducted numerous interviews with individuals tied to the organization. The disclosure prompted NPR’s ombudsman to criticize the organization’s behavior and recommend that it sever ties with Ploughshares. The Post did not respond to a request for comment before publication. Update: Following publication, Washington Post Editorial Page Editor Fred Hiatt provided the following comment: "We take seriously our obligation to inform readers of conflicts of interest when relevant and as much as we are able. In this case, I do not see any such conflict. Your characterization of Mr. Weiner as being on the "payroll" of Ploughshares appears to be false; if you have contrary information, please let me know. I don’t believe that the tenuous connections you cite, assuming they are more accurate than the payroll claim, would have been material." Update II: This piece has been edited to reflect more accurately in what manner Ploughshares money has funded Professor Weiner’s work in the past. This entry was posted in National Security and tagged Iran, Iran Nuclear Deal, Washington Post. Bookmark the permalink.